The movie is called Nigel & Oscar vs. The Sasquatch and is set to be released in 2015. The story seems to pivot around two Bigfoot nerds, Nigel (Paul Brittain) and Oscar (Adam Herschman), who lose their guide while looking for Sasquatch. They compete against a rival named Claus (Tim Meadows). It will be done in the style of a documentary comedy, but I love any excuse to use the portmanteau mockumentary (almost as much as I like to use the word portmanteau). Uber geeks Nigel and Oscar want nothing more than to capture definitive evidence of a Sasquatch. When their guide bails on them, they must resort to using a mis-matched group of outdoor enthusiasts. Meanwhile, their rival Claus, also on the hunt for the "Squatch", races to beat them to the prize in this documentary style comedy. 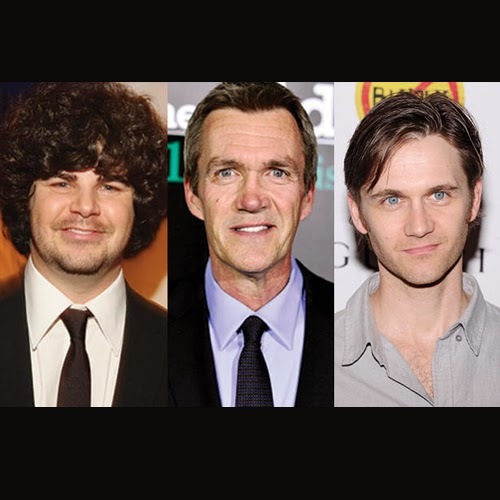 “Saturday Night Live” alum Paul Brittain, Adam Herschman (“Hot Tub Time Machine 2”), Neil Flynn (“Scrubs”) and Christine Bently (“Shark Night 3D”) are set to star in the indie comedy “Nigel and Oscar vs. the Sasquatch,” TheWrap has learned. Frame 29 Films and Mudbrick Media are teaming on the project, which Drew Hall is directing from a script by James Weldon. Production is already under way in Alabama, with shooting set to take place in Cheaha State Park. And it is true if you are in Alabama they are looking for movie extras. Read a excerpt below from AL.com. MOBILE, Alabama -- The comic creature feature film "Nigel & Oscar vs. the Sasquatch" will be filming in Mobile next week, and according to the Mobile Film Office website, the production is seeking locals for stand-in and extra roles. 1. A blonde female stand in around 5'8" to work Monday, May 19 through Wednesday, May 21. Must be available all three days. Pay rate is $125 a day.